Crop insurance helps make America’s farmers and ranchers world leaders in agriculture, allowing them to stay competitive and be more innovative. It also helps them sleep better at night knowing that, should the unexpected happen, they will have the financial security to stay in business and go on to plant the next season. 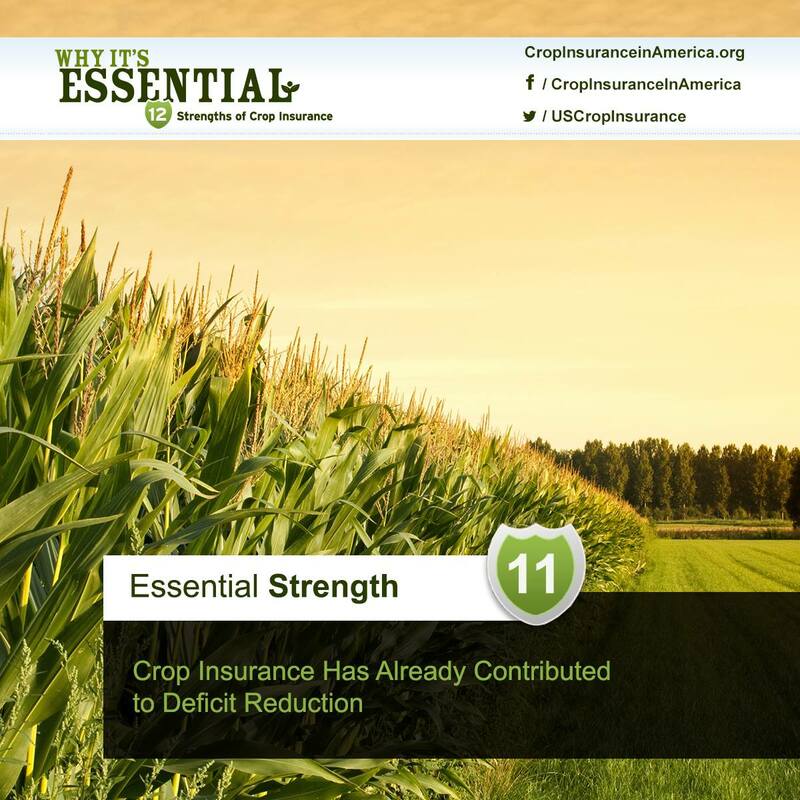 Crop insurance is a key component to the tremendous success of our country’s agricultural economy. 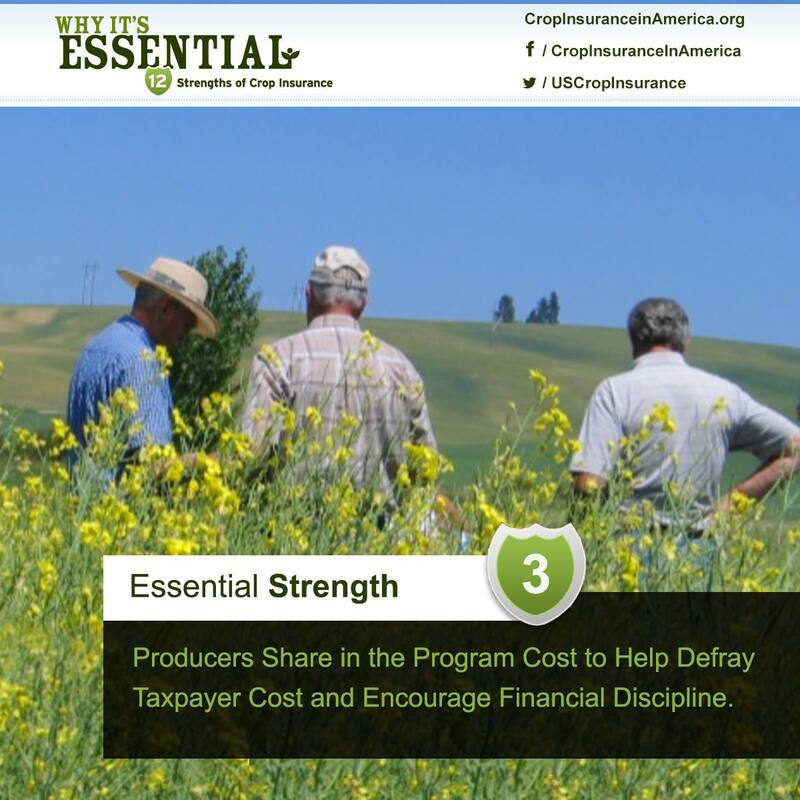 Here are twelve reasons why crop insurance is an essential business tool for America’s agricultural farmers and ranchers. Most farm programs are, in general, similar across all crops and farmers, despite variations in an individual farmer’s operations. 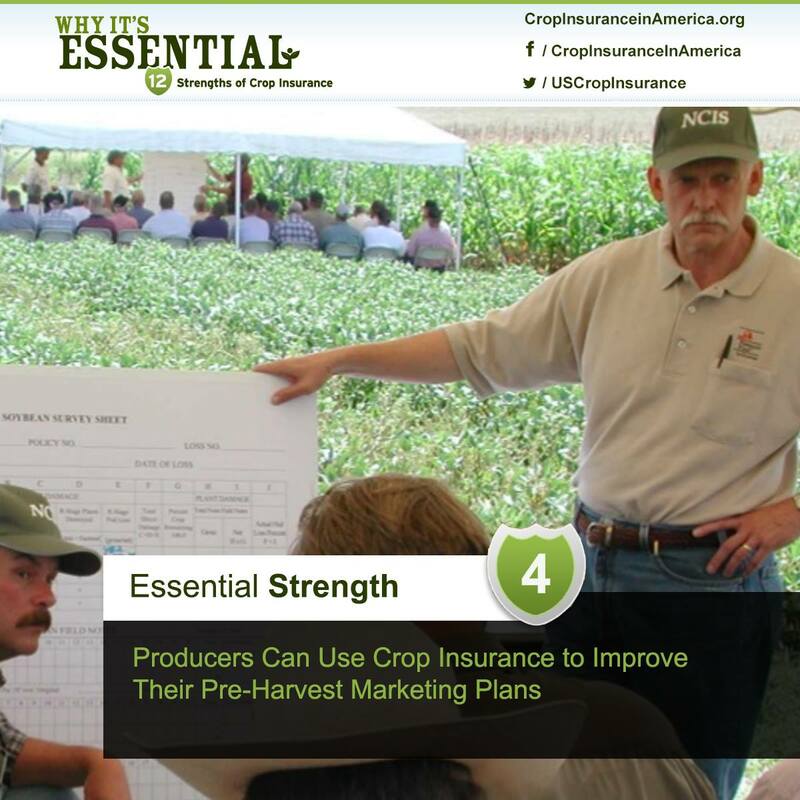 However, crop insurance allows farmers to customize their plans and coverage to accurately reflect individual losses and their unique yields or risk. Crop insurance is essential to the rural economy and preserving the production capacity of farmers. It provides farmers the financial freedom to build capacity and innovation. The program also is fiscally sound, and has never required a government bailout. Bankers prefer it to farm program payments, which can be less certain. Farmers design their own risk management plans, and when participating in crop insurance, must assess the farm’s risks and develop a crop insurance plan that mitigates those risks and is affordable. Farmers are also required by the policy to meet the standards of “good farming practices” in order to be eligible for payments when incurring losses. 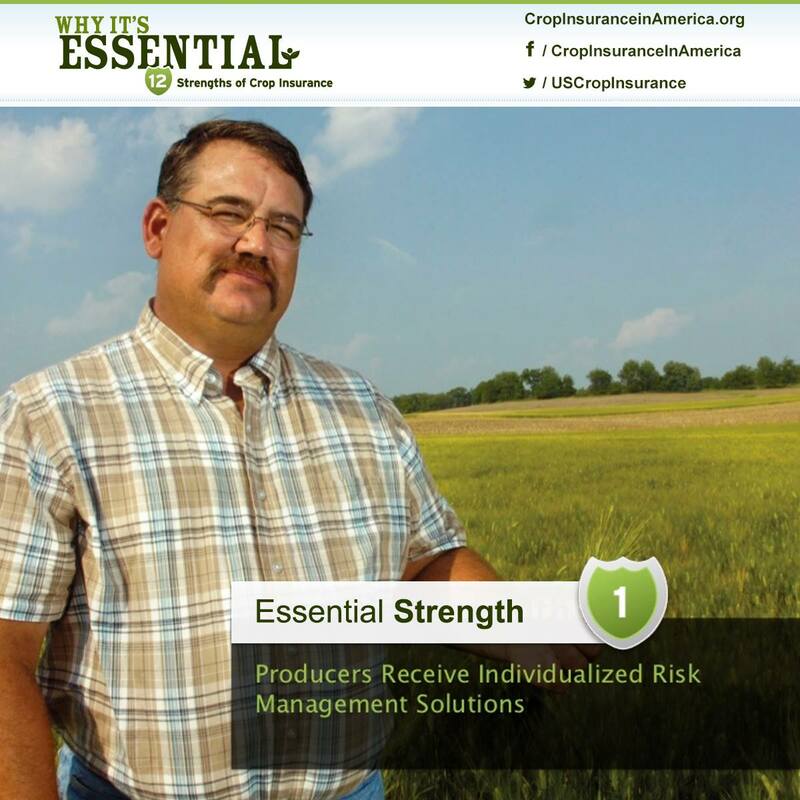 Crop insurance provides the financial backstop needed to optimize farm marketing. In the case of a disaster affecting yields or prices, crop insurance provides farmers with the income needed to settle forward contracts, or futures and options positions. Crop insurance payments are paid close to the time frame when loss occurs — before harvest time in the case of prevented planting and replant payments, or shortly after harvest in the case of yield or revenue shortfall. Most crop insurance claims are paid within 30 days after settlement. 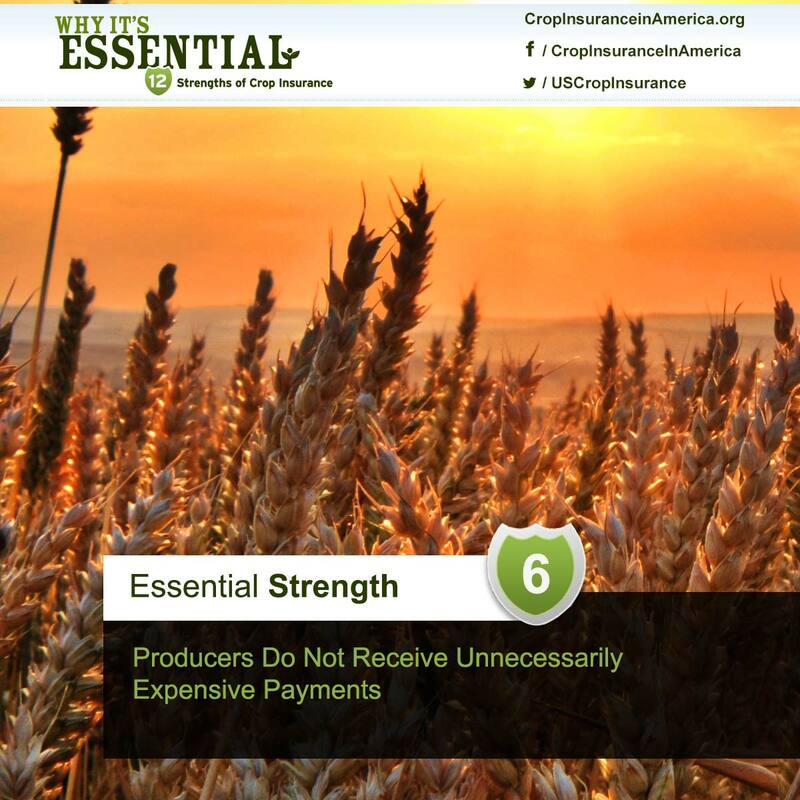 Crop insurance payments are related to an actual, verified loss due to price volatility or natural disaster. In addition, a trained crop insurance loss adjuster assesses the farmer’s claim, thereby rewarding proper effort and appropriately protecting against events beyond the farmer’s control. 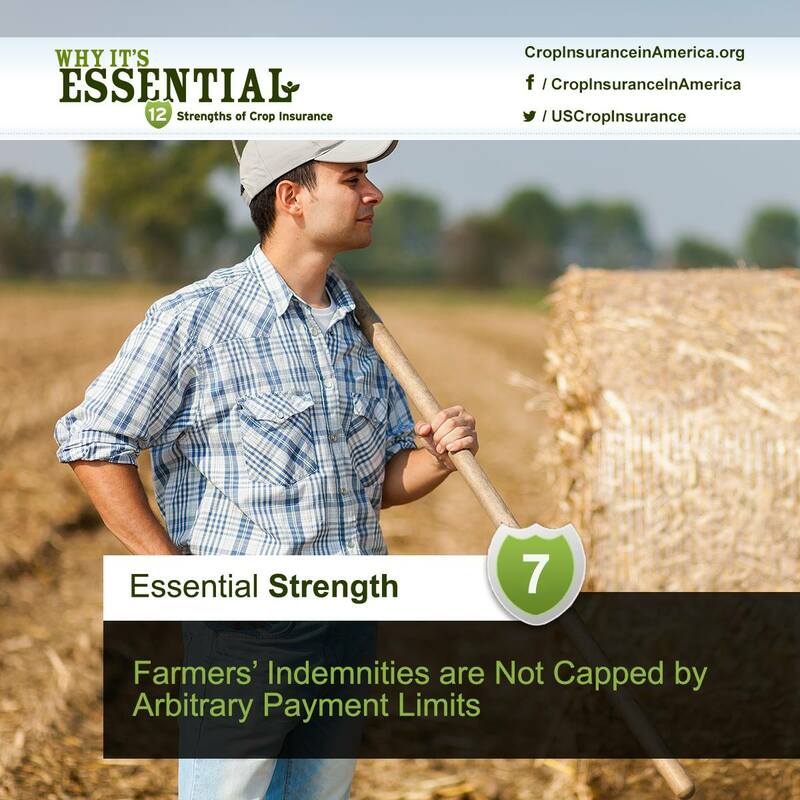 There are no income caps to buy crop insurance, and crop insurance premium discounts and indemnities are not limited. 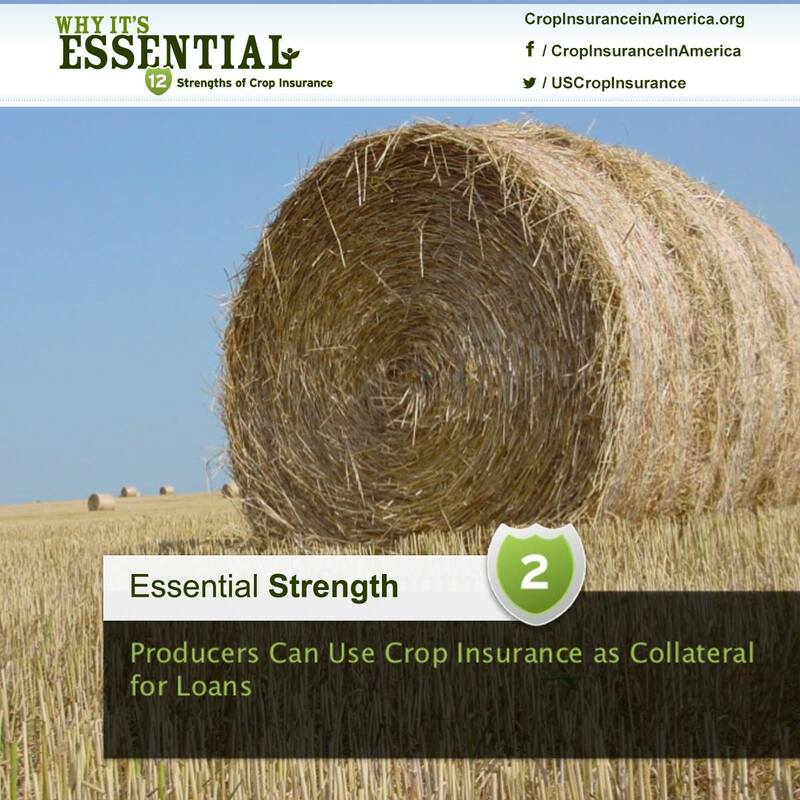 Farmers must contribute financially in order to receive crop insurance. Though partially discounted by the Federal government, these contributions help defray taxpayer costs and encourage financial discipline. 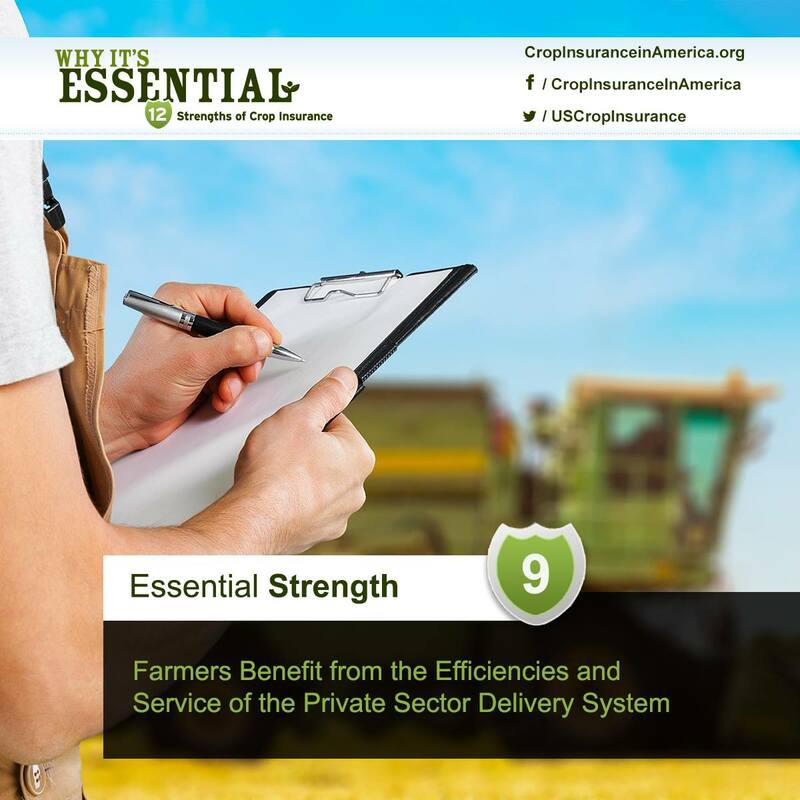 There are 15 private sector companies that deliver crop insurance, all driven by competition to meet farmers’ needs. Agents are trained on an ongoing basis to understand and educate farmers about the ever-changing complexities of the program. 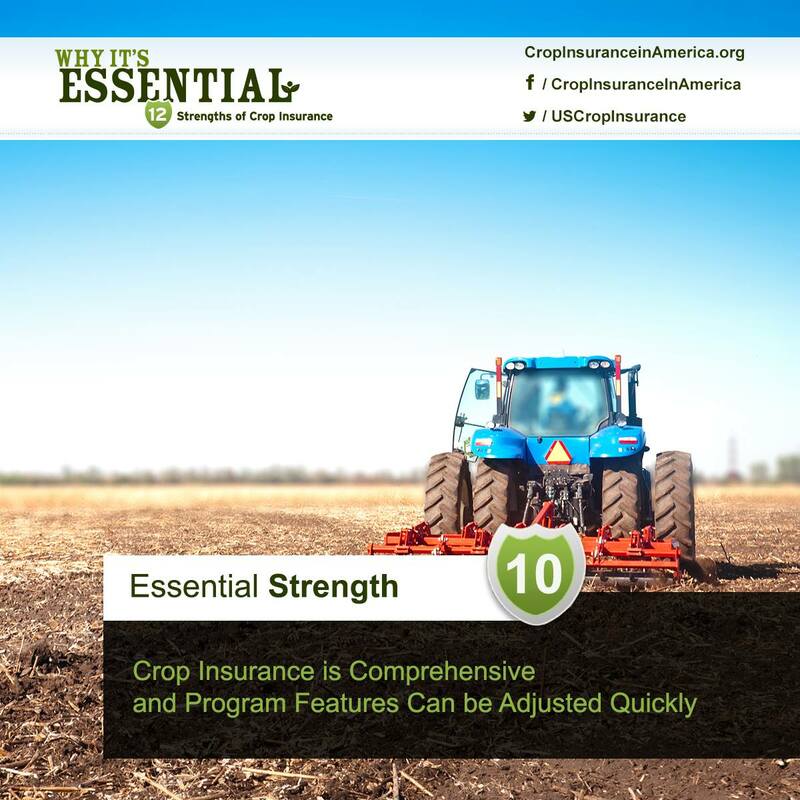 Crop insurance products can be quickly adjusted to the changing needs of farmers, without going through a long legislative process. Having the flexibility to make major program adjustments also imposes financial discipline on the government because it has the authority to correct or eliminate programs and features that are not working. $4 billion dollars of the overall $6 billion reduction from the 2011 Standard Reinsurance Agreement between the Federal government and private insurance companies went directly towards deficit reduction. 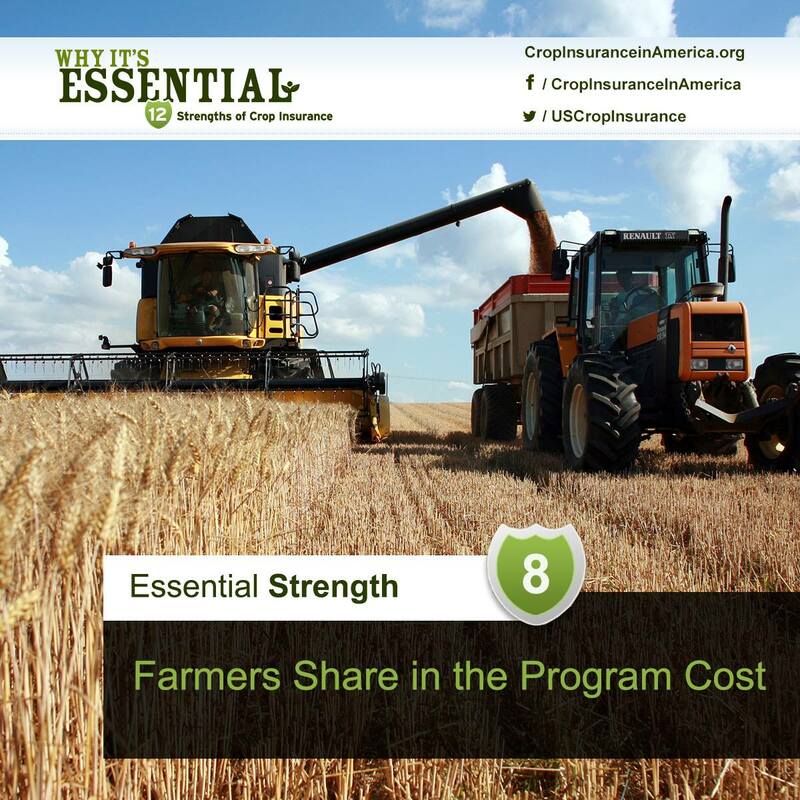 An additional $6.4 billion was cut from the crop insurance industry in the 2008 Farm Bill. 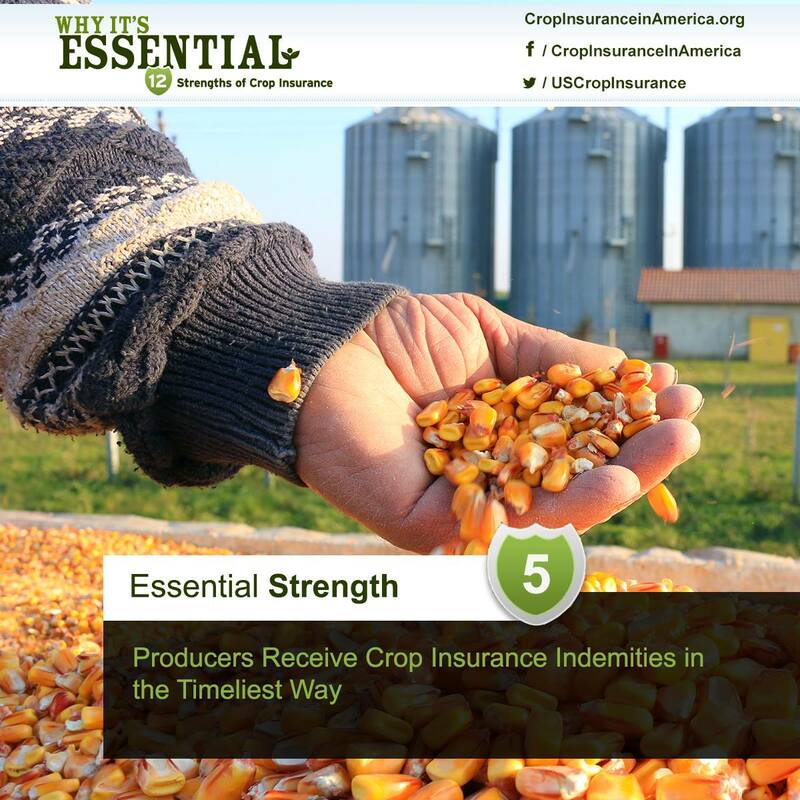 Although crop insurance is considered an “amber box,” it offers significant advantages over other farm safety net programs. 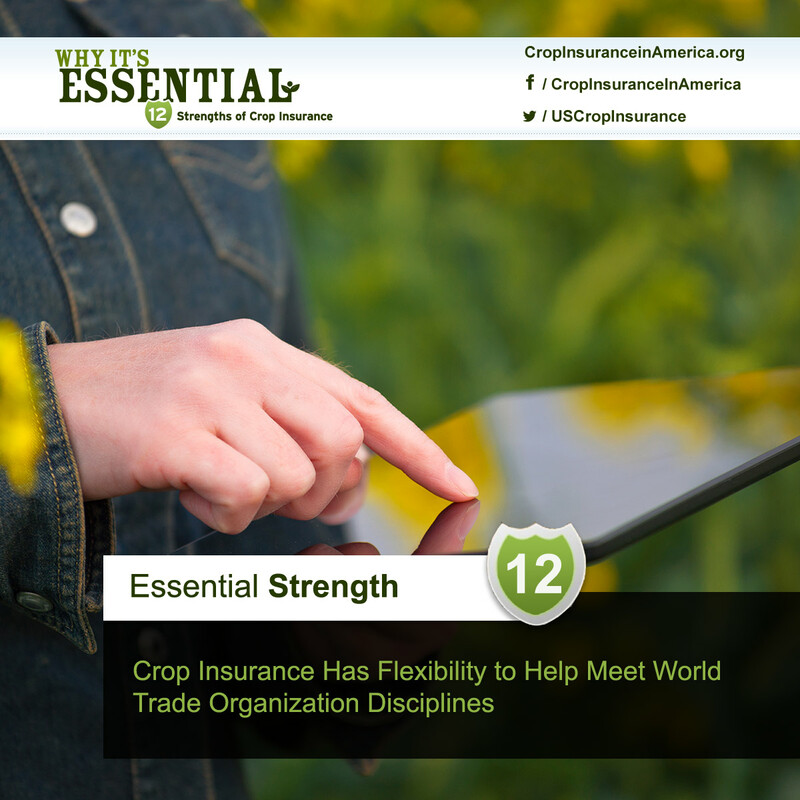 Changes to crop insurance and the way it is reported to the WTO, along with provisions under discussion in a new WTO agreement, could result in future easing of compliance with WTO limitations.